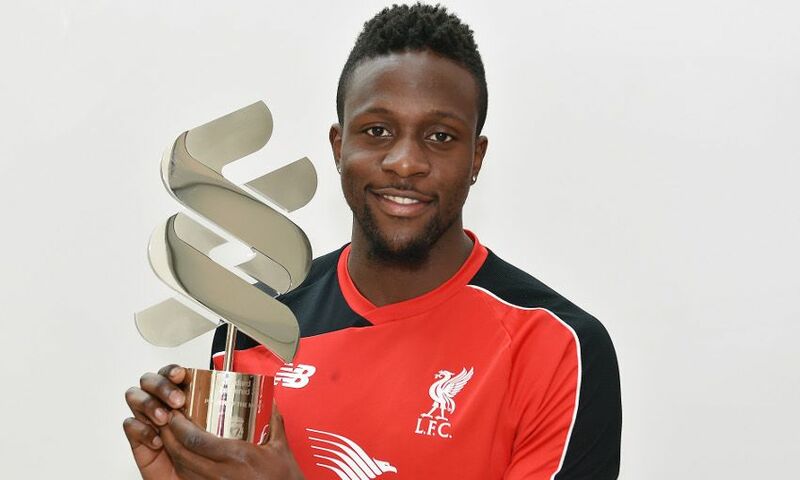 Divock Origi has scooped the Standard Chartered Player of the Month award for April. The 21-year-old made four starts and two appearances as a substitute last month, scoring five goals in his most productive spell for the Reds yet. Origi's fine run of form was unfortunately cut short before April's final two fixtures, with an ankle injury sustained against Everton putting him out of action. But that didn't stop the striker from claiming 43 per cent of the fans' votes in a poll on Liverpoolfc.com to clinch the prize. Reflecting on his first Player of the Month award with the Reds, he said: "I'm very proud. I'm very happy to win this award, it means that the people appreciate what you've done. I felt good in this month so I'm very happy. "I had a good month and scored goals, unfortunately I got injured but to be voted [as the winner] is something I'm very happy about." Origi notched in both games against Borussia Dortmund as well as wins over Stoke City and Everton as he enjoyed a breakthrough spell for Liverpool in April. And he believes that things simply clicked into gear for him as a result of the hard work he had been putting in at Melwood in the months preceding his hot streak. "I just worked hard and this was the moment where everything came together," he continued. "Maybe because it was my birthday month as well or something, I don't know! "They were important games so like the derby, the Europa League etc. Hopefully I can come back soon and score more goals [like this]. "It's always an honour to lead the attack of Liverpool and if I can score and help the team and help the supporters and everybody then it's a very good feeling."